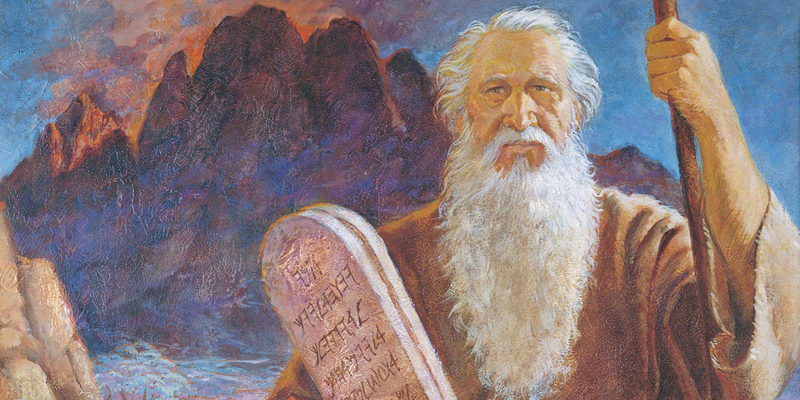 Why Is Lehi Depicted as Similar to Moses? "And he shall be great like unto Moses, whom I have said I would raise up unto you, to deliver my people, O house of Israel. And Moses will I raise up, to deliver thy people out of the land of Egypt." Throughout 1 Nephi, and perhaps most clearly in the account of Lehi’s farewell speech to his family (see 2 Nephi 1–4), Lehi is depicted as being like the prophet Moses. The fact that Nephi portrays his father as a Moses figure demonstrates that Nephi was in touch with ancient Israelite traditions that were popular in Jerusalem at the time. Lehi and Nephi understood that history, including God’s ways of dealing with his covenant people, repeats itself. Because they saw events of the past as foreshadowing or “typifying” events of the future (2 Nephi 11:4; Mosiah 3:15), it was natural for them to “liken” the scriptures to themselves and their situation (2 Nephi 11:2, 8). The major temple pilgrimage festivals, especially the Passover, that were celebrated regularly in Jerusalem, commemorated (and reenacted) the events of the Exodus (see Exodus 12; Deuteronomy 16:1–8). As inhabitants of Jerusalem, Lehi and his family would have been consistently reminded of those events and of the great leadership of the prophet Moses. Thus, it would have been natural and familiar for them to make the comparison between what they were going through and what happened to Moses and his people. Lehi and his family arrive at the promised land. Artist unknown. These typologies are especially prominent in the accounts of transitional figures such as Samuel. Samuel oversaw the transition from the rule of prophets and judges over Israel to the rule of the monarchy under kings Saul and David.10 Even Jesus Christ was presented as a “new Moses” in the New Testament, one who came to fulfill the Law of Moses and bring about a new covenant and a higher law.11 It would have been unnatural for Lehi to have been called to be a prophet, to be such a great transitional figure for his people, and not to have followed this same pattern of typifying Moses. The appearance of Lehi as a “type” of Moses, leading his people in a divinely-directed exodus experience, strengthens the recognition of the Book of Mormon as an authentic ancient text. It was written by ancient Israelites who were steeped in the religious traditions of their people and who lived their lives as would be expected of the faithful inhabitants of Jerusalem from that period. The idea that Lehi could be seen as a prophet comparable to Moses by his contemporaries may inspire modern readers to make such comparisons and, thus, gain an appreciation for the significance of his role and that of other Book of Mormon prophets. Similar comparisons can be made with the modern-day prophets that have led the saints in this dispensation as well. Neal Rappleye, “The Deuteronomist Reforms and Lehi’s Family Dynamics: A Social Context for the Rebellions of Laman and Lemuel,” Interpreter: A Journal of Mormon Scripture 16 (2015): 87–99. Noel B. Reynolds, “The Israelite Background of Moses Typology in the Book of Mormon,” BYU Studies 44, no. 2 (2005): 5–23. Noel B. Reynolds, “Lehi as Moses,” Journal of Book of Mormon Studies 9, no. 2 (2000): 26–35. S. Kent Brown, “Moses and Jesus: The Old Adorns the New,” in The Book of Mormon: 3 Nephi 9–30, This is My Gospel, ed. Monte S. Nyman and Charles D. Tate, Jr. (Provo, UT: Religious Studies Center, Brigham Young University, 1993), 89–100. 1. Noel B. Reynolds, “The Israelite Background of Moses Typology in the Book of Mormon,” BYU Studies 44, no. 2 (2005): 10. 2. This pillar of fire can be compared to the pillar of fire that enveloped the Lord as He led Moses and the children of Israel out of the land of Egypt (see Exodus 13:21). Matthew B. Brown, The Gate of Heaven (American Fork, UT: Covenant Communications, 1999), 71–72; Nicolas Wyatt, Space and Time in the Religious Life of the Near East (Sheffield, UK: Sheffield Academic Press, 2001), 169; Jeffrey M. Bradshaw, “The Tree of Knowledge as the Veil of the Sanctuary,” in Ascending the Mountain of the Lord: Temple, Praise, and Worship in the Old Testament, ed. Jeffrey R. Chadwick, Matthew J. Grey, and David Rolph Seely (Salt Lake City and Provo, UT: Deseret Book and Religious Studies Center, Brigham Young University, 2013), 51–52; see also C. Wilfred Griggs, “The Tree of Life in Ancient Cultures,” Ensign, June 1988, online at lds.org. 4. Reynolds, “Israelite Background,” 11; Noel B. Reynolds, “Lehi as Moses,” Journal of Book of Mormon Studies 9, no. 2 (2000): 26–35. For more on the significance that the discovery of Deuteronomy, and the resulting religious reforms by King Josiah, had on Lehi and his family, see Neal Rappleye, “The Deuteronomist Reforms and Lehi’s Family Dynamics: A Social Context for the Rebellions of Laman and Lemuel,” Interpreter: A Journal of Mormon Scripture 16 (2015): 87–99. 5. Reynolds, “Israelite Background,” 11. 6. Reynolds, “Israelite Background,” 11. 7. See 1 Nephi 4:1–3; 17:20, 26, 44. See also the very clear connections made by later Nephites in Mosiah 7:19–20; Alma 36:28–29. 8. See Reynolds, “Israelite Background,” 11. 9. See Reynolds, “Israelite Background,” 14–15; see also David Rolph Seely and Jo Ann H. Seely, “Lehi and Jeremiah: Prophets, Priests, and Patriarchs,” in Glimpses of Lehi’s Jerusalem, ed. John W. Welch, David Rolph Seely, and Jo Ann H. Seely (Provo, UT: FARMS, 2004), 368–371. 10. See Reynolds, “Israelite Background,” 17. 11. For a treatment of the parallels between Moses and Jesus, see S. Kent Brown, “Moses and Jesus: The Old Adorns the New,” in The Book of Mormon: 3 Nephi 9–30, This is My Gospel, ed. Monte S. Nyman and Charles D. Tate, Jr. (Provo, UT: Religious Studies Center, Brigham Young University, 1993), 89–100. 12. Rappleye, “Deutermonomist Reforms,” 98.